This bumper sticker is printed on Weather resistant PVC Bumper Sticker Vinyl with UV resistant ink. Fade free for years. 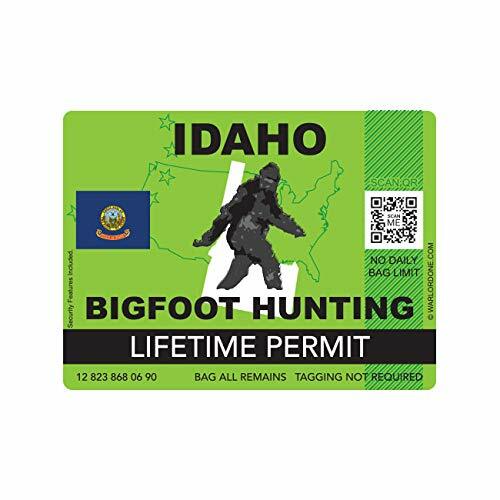 Finally you can pursue the most dangerous game in North America with a United States Sasquatch Hunting Permit. 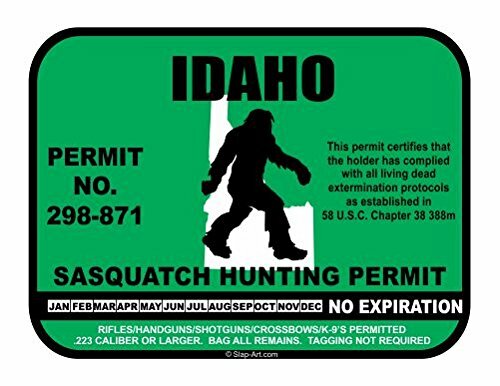 NOTE; This permit excludes the state of Washington...it's a felony there to kill a bigfoot there(seriously,...google it). Another original from Big Cat Sticker Shack. 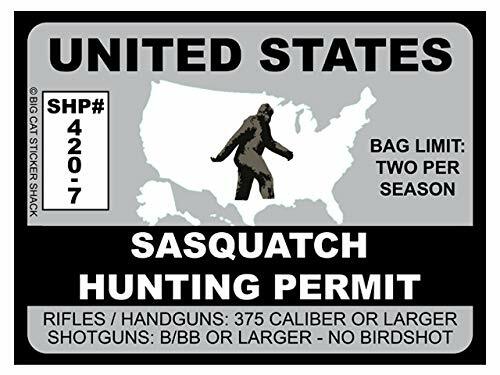 United States Sasquatch Hunting permit. This bumper sticker is printed on Weather resistant PVC Bumper Sticker Vinyl with UV resistant ink. Fade free for years. 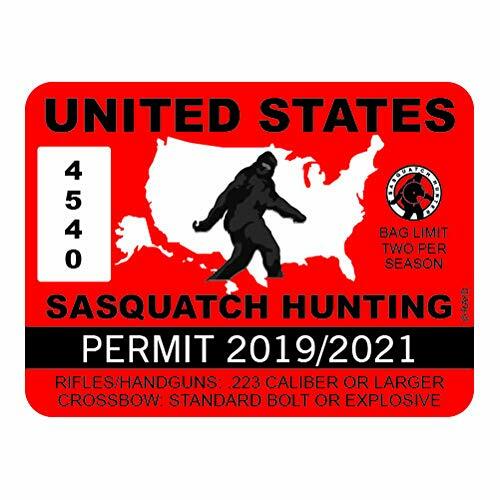 RDW United States Sasquatch Hunting Permit - Color Sticker - Decal - Die Cut - Size: 4.00" x 3.00"
Each decal is digitally printed using ECO-SOL solvent ink (engineered to resist fading, water and scratching) on 2.5mm ORAJET self-adhesive vinyl. A laminating film is then applied on top for an additional level of durability and UV protection resulting in a 8 year lifespan. These decals will stick to virtually any smooth surface.What you see is what you get... each decal is meticulously crafted by our in house designers.Note: These are diecut so there is no background color). This vinyl bumper sticker/decal is printed with UV resistant inks and digitally cut on weather resistant PVC Vinyl. Big Cat Sticker Shack specializes in high quality bumper stickers. Our stickers are printed on PVC Vinyl, the same kind sign shops use for vehicle wraps and vehicle signs. That means they are made to withstand the weather. We print them with a state of the art printer using UV resistant inks and cut them with a digital vinyl cutter. The end result is tough, weather resistant bumper stickers with photo quality images that will not fade for years! 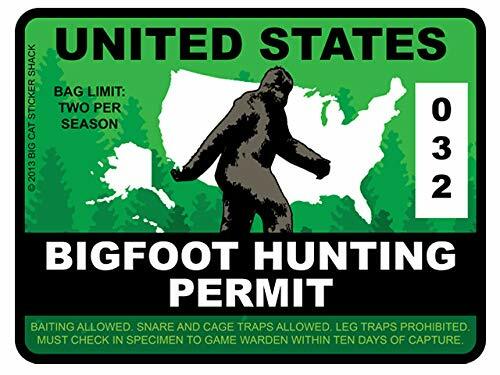 MATERIAL: Decals are printed on 5 mil, calendered, glossy white PVC vinyl then coating with a Glossy Clear Lamination. To ensure utmost quality and durability, unlike other sellers on eBay, we cover our decals with an clear overlaminant film. This prevents any damage (such as scratching, color fading, and tearing), protects the print and extends the life expectancy. To achieve the longest possible durability, a lamination layer must be applied. Most competitors avoid this extra step to keep costs low and increase their profits. Our commitment to our customers is to provide the highest quality product, at the best cost possible. We guarantee you won't find a better quality! USES: These stickers are suitable for indoor or outdoor use. They can be easily applied to virtually any clean and smooth surface including vehicle body and window, boats, kayaks, snowmobiles, jet ski's, bikes, motorcycles, ATV's, snowboards, skateboards, surfboards, drums, guitars, computer and laptop cases, game consoles, helmets, hard hats, trailers, toolboxes, walls, mirrors, glass and more! Show your pride with this high quality made in the USA self adhesive sticker. Designed and made in house exclusively by the pros at fagraphix. Bonus flag sticker included with every order. 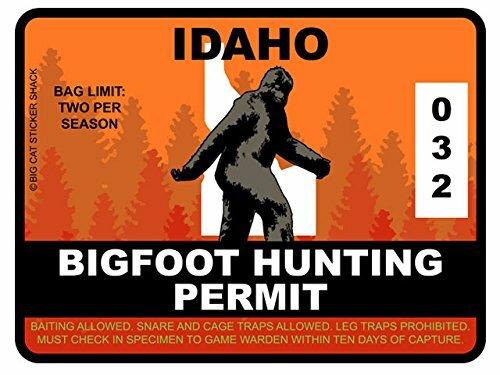 What Is A Bigfoot Or Sasquatch?